Berlin (AFP) - As the thermometer dips towards zero in Germany, thousands of asylum seekers spending their nights in tents are pleading for authorities to find them alternative housing. "They say they are going to do something, but they are not telling us what. Maybe we are all going to turn to ice," said a 25-year-old Afghan who went by the name Hussein, and who has been living in one of several tent cities set up by authorities in the northern city of Hamburg. "We cannot be under the tent for more than an hour at night," he said. At the major northern port, as in other parts of the country, sleeping without heating is quickly becoming a nightmare as the temperatures tumble close to freezing. And the German winter, infamously harsh and biting, has not even begun. 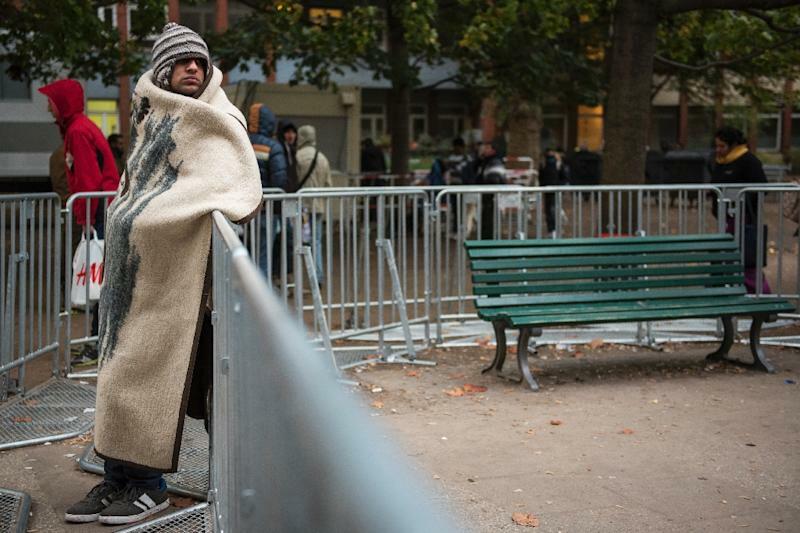 In Hamburg alone, 4,000 asylum seekers are sleeping in unheated tents, and some migrants, fed up with the cold and damp, have taken to the streets to complain about their lodgings. "We are freezing," they wrote on a cardboard sign. But the problem is not unique to the city. With between 800,000 and one million asylum seekers expected this year, Germany is facing an unprecedented refugee relief crisis. Some 42,000 asylum seekers were sleeping in tents across the country at the beginning of October, according to newspaper Die Welt. And the situation has become critical, warned Ulrika Kostka, director of aid group Caritas. "We can no longer rule out the risk that people could die" from the cold, she was quoted as saying by newspaper Tagesspiegel. 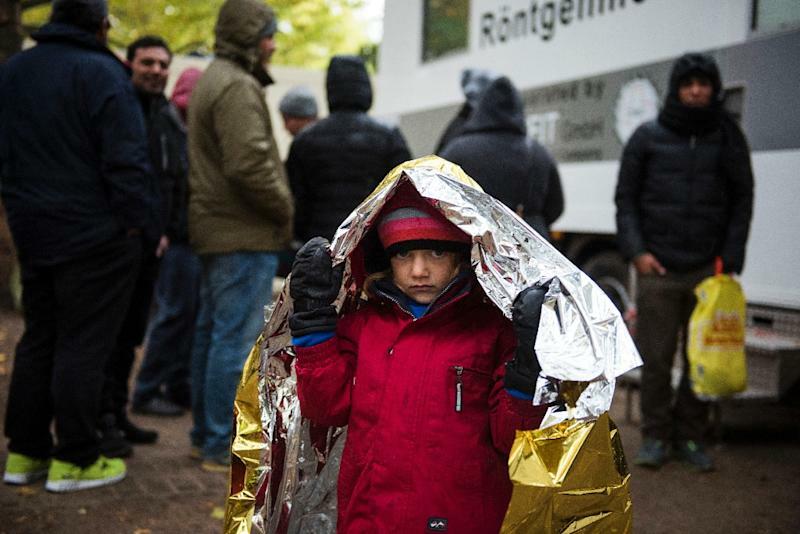 In the eastern Saxony region, the Red Cross also sounded a similar warning about tent cities. "It has become a health problem. People are falling ill because of the cold," said spokesman Kai Kranich. "We have distributed all the sleeping bags and blankets that we have but they are not enough." Mobile heaters have been placed in tents to provide some warmth for now, said Kranich, but he warned that it was only a temporary solution. German authorities have been scrambling to find lodgings for the record number of new arrivals. In Berlin, a special hall that is used every January for an annual agriculture exhibition, has been transformed into an emergency shelter with bunk beds for 1,000 refugees. Sports gyms have also been requisitioned, sparking complaints from some parents whose children have been unable to go to basketball or volleyball training as both rain and temperatures fall outside. Wooden shelters are also being built to protect migrants from the cold. Winfried Kretschmann, the Greens party leader of Baden-Wuertemberg state, has warned: "We don't have a magic wand to create lodgings." "At the moment we are managing, but it's going to become more difficult," he said during a meeting of state premiers. And the emergency is not limited to cold nights. 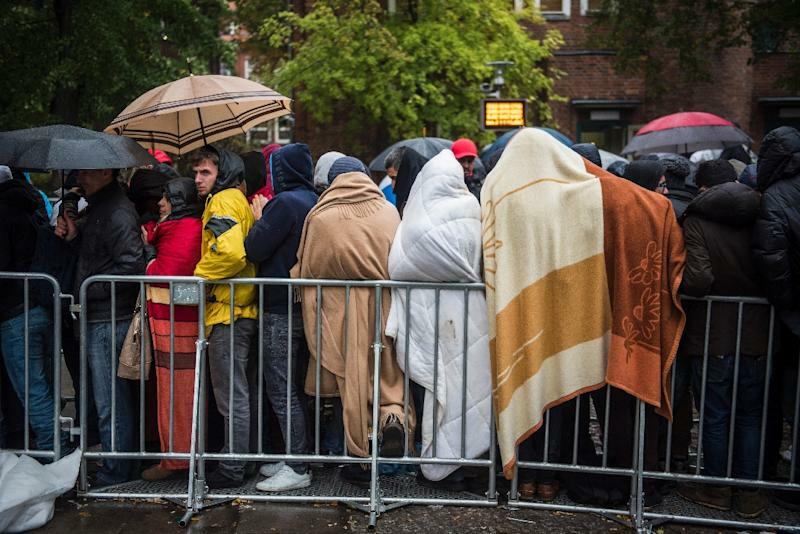 In the days, too, hundreds of migrants queue outside Berlin's main refugee registration centre for hours every day, shivering and drenched under the cold rain. A new registration centre has now been opened to bring some welcome relief. But as Mario Czaja, the social affairs manager for the city, said: "Berlin used to receive between 1,500 and 2,000 asylum seekers a year. "But at the moment, that's the number of refugees arriving every single day."